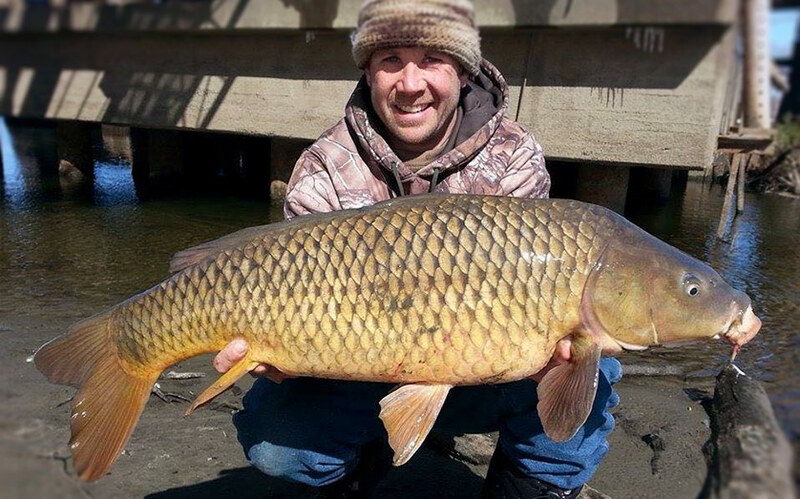 Carp fishing is becoming more and more popular by the day here in the United States. In the past ten years here in Connecticut – where I live – it has boomed tremendously! In the northern parts, we're only capable of fishing from late March until November or December – it depends on the temperature. 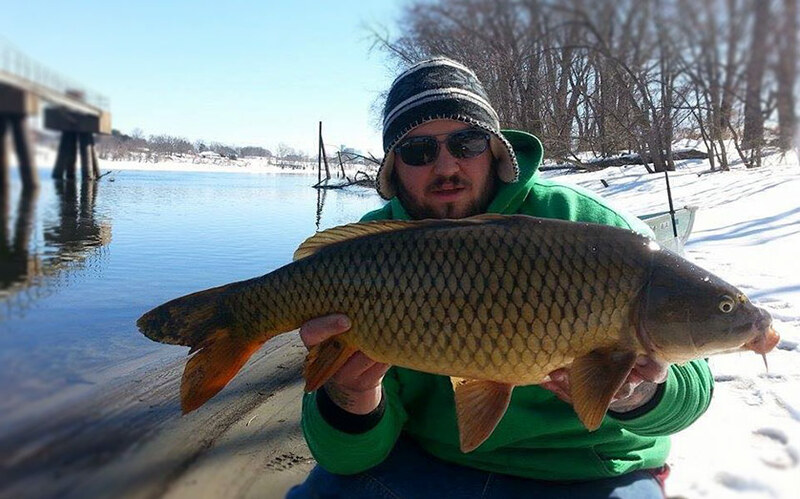 Our lakes and ponds freeze up completely during the cold winter months, making it almost impossible to fish for carp. 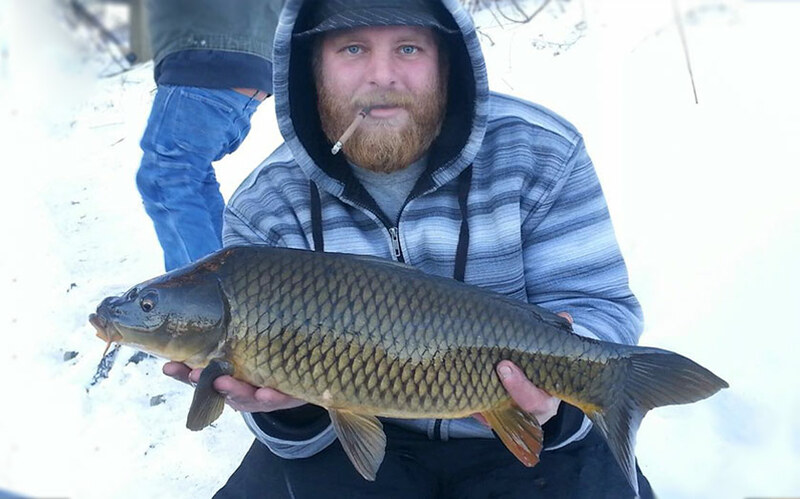 Some anglers do attempt to ice-fish for carp, but that is not an easy task. We use an ice auger to cut holes in the ice, but sometimes our ice gets over 24" thick! Then you have to pull out the gas-powered auger! We also use a tip-up or tilt – it has a spool on it, and you send it to the bottom of the lake with your bait. Then you set the flag. When a fish pulls it, the spool turns and set off the flag to indicate that you have a fish on the line. 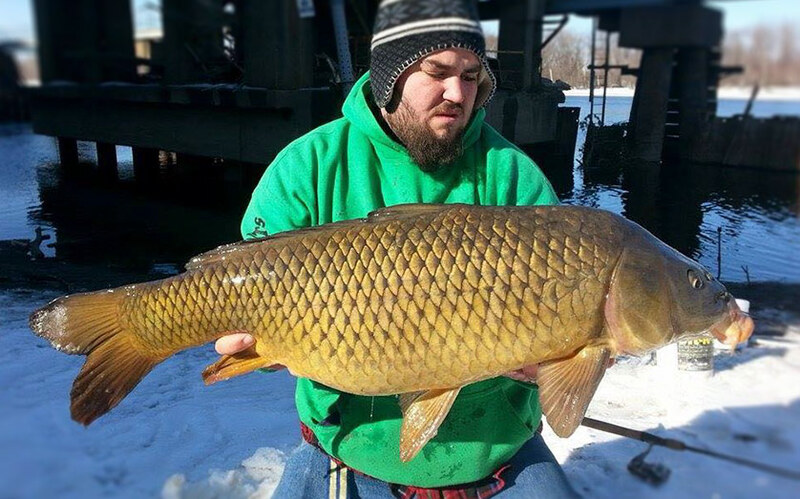 When we fish through the ice, we bait very little due to their slow metabolism causing them to eat less. A couple of anglers are lucky enough to have access to a warm water discharge on one of our biggest river systems, Connecticut River. The warm water discharge that we're fishing is a trash plant that insinuates trash. The warm water that comes out is somewhere around 75-80 degrees, and it's not easy to get there by any means. 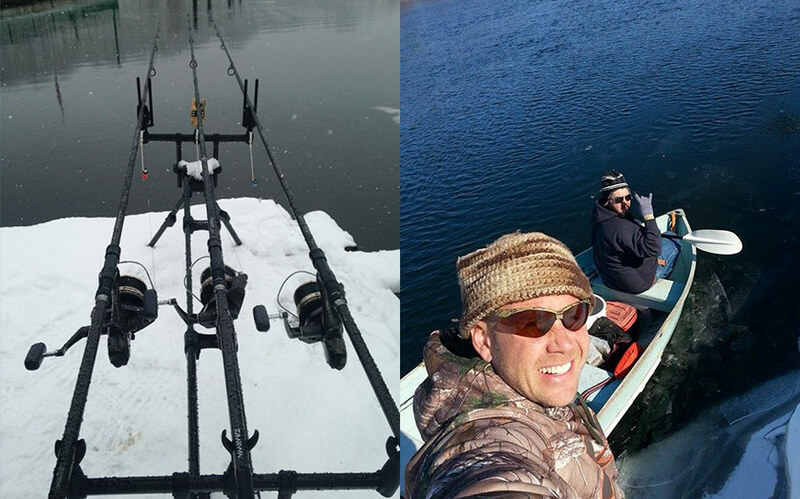 You have to lug a boat through the snow, out on a huge rocky jetty, and then onto the frozen river cove. Then finally launch the boat upon the open river water – it is very scary as you can see the river water flowing underneath the ice. It is not the safest! This year we had to pull the boat through close to three feet of snow to get it on the frozen river and break through the ice. It's a big struggle some guys are willing to take, and we were able to land some good specimens! Our biggest was just over 34lbs. We use very simple techniques, and our baits normally consist of sweet corn straight out of a can with some flavouring. I fish a simple hair rigs with sweet corn or coloured maze.